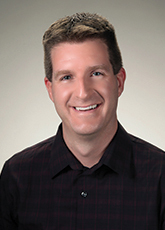 Jarod began his public accounting career in 2000 and spent nine years in public accounting followed by four years as a controller in the construction industry. He joined the Firm in 2012 and specializes in federal income tax filings, financial reporting, and business and financial consulting. Jarod’s experience with tax planning and financial reporting for businesses coupled with his hands-on experience in the construction industry gives him the ability to provide clients with technical expertise from a practical background. In his free time, Jarod enjoys spending time with his wife and two daughters. You can also find him in the great outdoors fly fishing, snowboarding, running, hiking, and camping with his family.